A ground breaking lighting concept with the purpose to support the circadian rhythm of the body, improve sleep, energy and wellbeing has been developed in collaboration with a lighting company, nurses, doctors and scientists. The Danish innovation incubator Markedsmodningsfonden has supported the three year long project financially. A natural circadian rhythm is important for humans’ health, sleep, immune system, wellbeing and level of energy. People who are hospitalized and staff that works night shifts often have a circadian disorder. Lighting is central in relation to the body’s’ circadian rhythm. 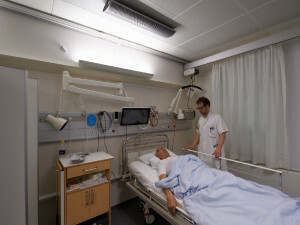 In 2013 Chromaviso, who are specialized in health-promoting lighting in the health care sector, Aarhus University Hospital and Rigshospitalet Copenhagen decided to work together on developing a research based and cost effective circadian lighting concept. The Danish innovation incubator Markedsmodningsfonden supported the project financially with a total budget on 1.3 million Euro. In June, the results of the project were published including both user driven innovation, product development and scientific research and documentation. Chroma Zenit Circadian Lighting is an automatically controlled lighting that changes around the clock as the natural lighting outside. 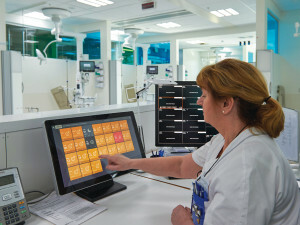 The rhythm of the lighting is important, thus the first step in the project was to design a clinically validated lighting protocol for two intensive care units in both Aarhus University Hospital and Rigshospitalet Copenhagen. The lighting protocol was made in collaboration with sleep researchers and doctors and it establishes a guideline of the precise level of light intensity and spectrum around the clock and the blue free night light in which the staff can read, write and work without disturbing the circadian rhythm. ”In collaboration with Chromaviso, we have developed a lighting protocol customized the patients on our unit. The lighting protocol is the foundation in the circadian lighting and important in relation to achieving the wanted physiological effect that is set to improve good awakening, wakening, energy at day and a good night sleep,” says Ph.d student, doctor, Anders West. In some situations the circadian lighting is not enough. Therefore, Chromaviso and the staff at the two hospitals have developed activity based light settings such as emergency light, lighting for treating patients or therapeutic and stimulation purposes – or other tasks that requires a specific light. The light is operated on a new operation panel – either touch screen or push bottom with recognizable icons and colours. ”By working closely together with the users we have managed to create a user oriented and intuitive operation universe which ensures a high usability and effect” explains CEO in Chromaviso, Anders Kryger. The light is operated on a central touch screen and a push bottom in every room. The hospitals involved to study the effect of the circadian lighting on patients and staff have noticed that the potential of the lighting concept has achieved scientific attention from day one. 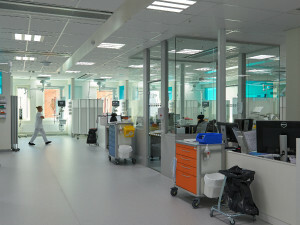 The study at the neurological clinic at Rigshospitalet, Copenhagen includes 73 patients, measuring factors such as circadian biomarkers, sleep/wake cycle, sleep quality, anxiety, cognitive performance etc. The study is a Ph.d. project by doctor Anders West, in close collaboration with an expert group. The project is the largest of its kind so far, and it has received international attention resulting in collaboration with Harvard University. The results are published in 2016/ 2017. In the study at the intensive care of patients with acute brain trauma at Aarhus University Hospital, they have added a stimulation concept consisting of sound, light and images. The results are published in 2017. ”The preliminary observations in relation to the effects on the Chroma Zenit Circadian Lighting from Chromaviso is that the patients are more calm during the night, less agitated, and that the light settings without the white light disturb the patients minimally and doesn’t wake them. Meanwhile the staff can perform their patient related care tasks around the clock,” explains clinical nurse specialist, Ph.d. Leanne Langhorn. The project also measures the effects of the circadian lighting on the staff at the two units. The staff have filled out diaries, questionnaires and worn Actiwatch. 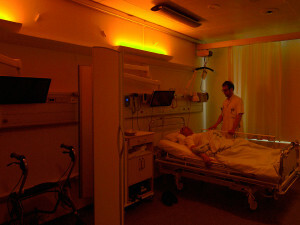 ”Staff, who have been exposed to Chroma Zenit Circadian Lighting from Chromaviso, sleep better and feel better rested. Several statements from the staff also point that they thrive better and now have the right light for their tasks,” explains Leanne Langhorn. The knowledge and results from the project, including a health-promoting lighting design has resulted in the fact that other hospitals in Scandinavia have chosen to install circadian lighting. As an example, Aabenraa Psychiatry have chosen Chromavisos lighting solution on 10.000 square meters. 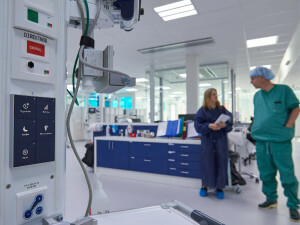 In addition, Rigshospitalet Copenhagen and Holbæk Hospital have chosen the solution in their intensive care units, just as many Swedish hospitals have installed Chroma Zenit Circadian Lighting, including the new Central Hospital in Karlstad. ”It is to be the operating house of the future – with the patient as the centre of attention. Furthermore, we are focused on a good working environment and flexibility. Here, lighting plays an important part. Chromaviso provide very competent consultancy, and they have proven that they also follow up with user implementation”, says Tobias Kjellberg, Healthcare manager, at Region Värmland. According to Chromaviso, consulting and implementation is the key to a successful circadian solution. ”We follow through on our projects – from initial consulting and advice on the best solution and lighting design to more precise projections. When the lighting has been installed, our focus is on implementation, including customizations and education in close dialogue with the users and technical staff. 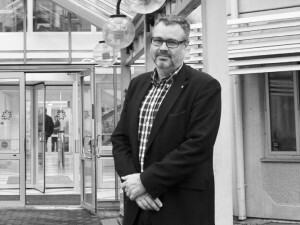 It is our experience that taking an active part in this process ensures high user satisfaction,” explains Anders Kryger. The growing demand and the new installations have meant that the lighting concept has grown from single rooms and separate units to entire hospitals. This transition has led to an increased focus on development of technology including a transition from fluorescent lights to LED. Chromaviso also focus on ensuring a reliable control, operation and integration. The public private partnership between the hospitals and Chromaviso have led the way for future projects. ”We have become very aware of how important light is. We have gained substantial knowledge on light and the effect light has on patients and their circadian rhythm and sleep. It is the first scientific research on lighting on critically ill patients and it has been an interdisciplinary project. The collaboration creates know how benefitting both patients and staff,” says Leanne Langhorn. The closeness to clinical staff, patients and scientists have been a catalyst for increased focus on competences and knowledge at Chromaviso. ”The last 10 years we have specialized in health care. We have a deep insight in the workflow at hospitals, and how light affects humans. This we combine with the newest technologies and a focus on reliability. In all it means that we offer a customized concept tailored the individual unit to make a difference every day,” says Anders Kryger. To develop a research based and cost effective circadian lighting. The project ended in 2016 og the results are both user driven innovation, product development and scientific research and documentation.